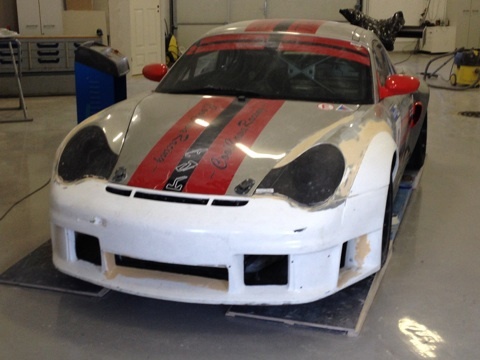 There are a lot of things that we can do here at CoolCava Racing Motorsports Engineering including working with fiberglass, but when it comes to big projects that needs that special something we turn to our partners at LT-Studio in Sipoo. The CoolCava Racing Porsche Boxster driven by team member Pål Krogdahl is a great example. After Pål suffered with front end issues at the end of the 2013 season along with overheating, we decided that it was time to make some changes. 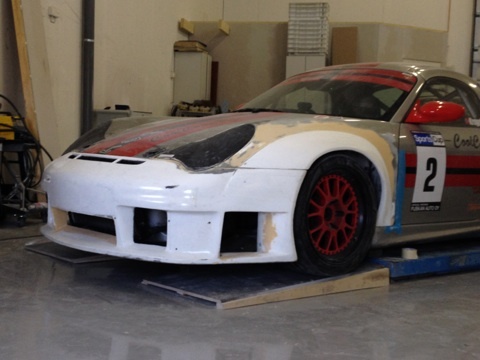 We contacted some of our good friends in the UK who run a team with two Porsche 996 RSR racing cars and asked for some parts… Next we took the Boxster and all the nice new parts up to Heikki at LT-Studio and told him to do his magic – and we are blown away by the quality in the work they have done so far. This car will be to go for racing when ready! « What could be better than a Porsche RSR?